RHS Varsity set pieces as tasty as pie as the Stangs take down Hazen 5-1 on 3.14! After the team introductions and pledge of allegiance were recited by the resident Hazen Jill-Of-All-Trades (ticket seller, announcer, medic, valet, and mascot), the Stangs started the match with their game faces on. Some good pressure from both sides pumped up the excitement levels. An early Stein yellow card prompted a quick substitution, and a few minutes later a well-directed Hernandez header pass to a scampering Rabadan set up a precision cross back for a Hernandez one-touch strike and the opening goal. After a mugging in the attacking third, a wonderful Stein free kick forced an impressive flailing and diving save by the Hazen keeper. Riding the wave of momentum, another chance soon appeared for RHS and a Stein moon ball pass set up a header cross from “The Beast” Wiyrick which led to a delicate Dadzie tap-in. In the waning moments of the half, a well-executed ball shielding by Wiyrick prompted a chastising from the ref which left some spectators scratching their heads. Despite the 2-0 RHS lead, the position seemed somewhat uncertain. 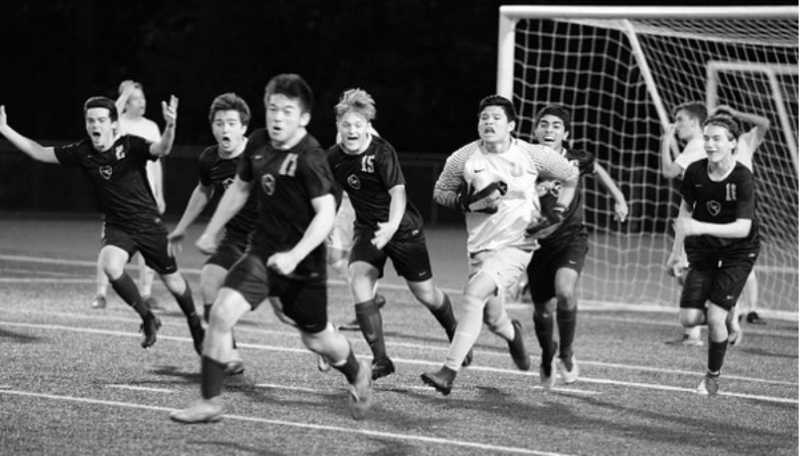 Hazen came out of half time with fire in their collective belly and immediately seized the momentum for themselves when an unmarked Hazen attacker was able to slip into open space and drive the ball home. The Stangs rebounded with renewed focus, and some nice Tibbs distributions down the touch line led to additional RHS attacks. 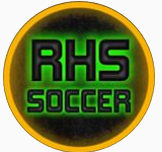 After more back and forth, Redmond was able to grab the reins again when a loose ball caromed off of Michalski and a Hazen defender and directly to a ready Hernandez who volleyed in another nice one-touch goal. A few minutes later, Wiyrick was not done with his beastliness, and took a well placed Fahrig corner off the head and into the sweet spot of the net. Keeper Rash had his hands full and made a few acrobatic saves off of some dangerous Hazen free kicks. In the waning minutes of the match, a beautifully bending Fahrig free kick and well-timed Doyle header put the match to rest. Previous postJV Stangs Continue to Roll With A Third Away Win Against Hazen Highlanders (2 – 0)!!! Next postJV Stangs’ Shutout Winning Streak Continues With a 5-0 Drubbing of Bothell High!